Have worked as a chemical process engineer in the petroleum refining, chemical processing, and natural gas processing industries. Projects include the design of FCCU, MTBE, Hydrotreating, and Gas Production Units. Tasks include pipe and pump sizing, relief valve sizing, flare network analysis, P&ID development, process simulation, heat exchanger design, and instrumentation sizing and selection. Session Chairman, "Components of Process Heat Transfer", AIChE Spring National Meeting, Houston, Texas, 1993. Session Chairman, "Compact Heat Exchangers", National Heat Transfer Conference, Atlanta, Georgia, 1993. Outstanding Session Award, "Components of Process Heat Transfer", AIChE Spring National Meeting, Houston, Texas, 1993. Session Chairman, "Chemical Engineering Education at the Private Academic Institution", American Chemical Society National Meeting, Washington D.C., 1994. Session Chairman, "NAFTA/GATT", AIChE Spring National Meeting, Houston, Texas, 1995. 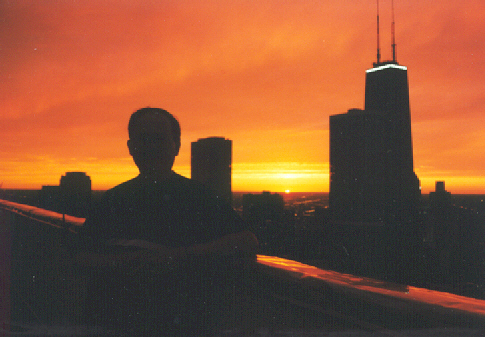 Volunteer, General Arrangements Committee, AIChE Winter National Meeting, Chicago, IL, 1996. Session Chairman, "Process Heat Transfer", AIChE Spring National Meeting, Houston, Texas, 1999. Volunteer, General Arrangements Committee, South Texas Section of AIChE All Day Technical Meeting, Houston, Texas, 2003. Technical Program Committee, 12th International Conference on Heat Transfer, Fluid Mechanics, and Thermodynamics, Malaga, Spain, 2016..